Came into a final an unusually difficult combined route «Grand Chersky», jointly organized by TS-Center and the French company «Allibert Montagnes et Deserts», English «KE Adventure Travel» and German «Hauser Exkursionen». 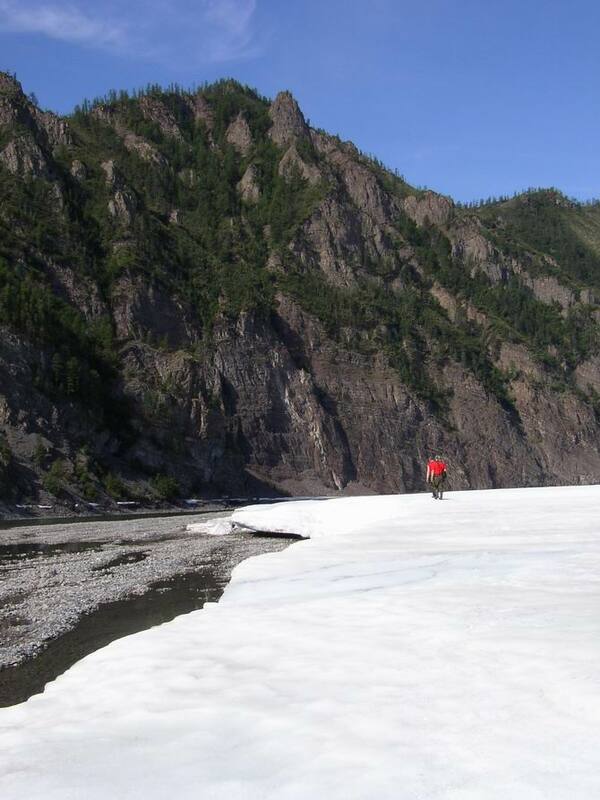 The group consisted of 13 people had done a trekking route through Chersky ridges and open canoeing on the river Moma, through the world’s largest icefield – Ulakhan- Taryn and then to Tas-Yuryakh reaching Khonuu from where they took a plane to Yakutsk. The route lasted from 21 July to 12 August. Until this year, «Allibert» company during the 3-year trial conducted tours and thorough testing of this route, and just this year he has passed the official route of the above-mentioned companies. My spirit of adventure, my craving for knowledge and seeing life have always been essential requisites for my life. These are the reasons why I have decided to join the expedition to the Pole of cold. 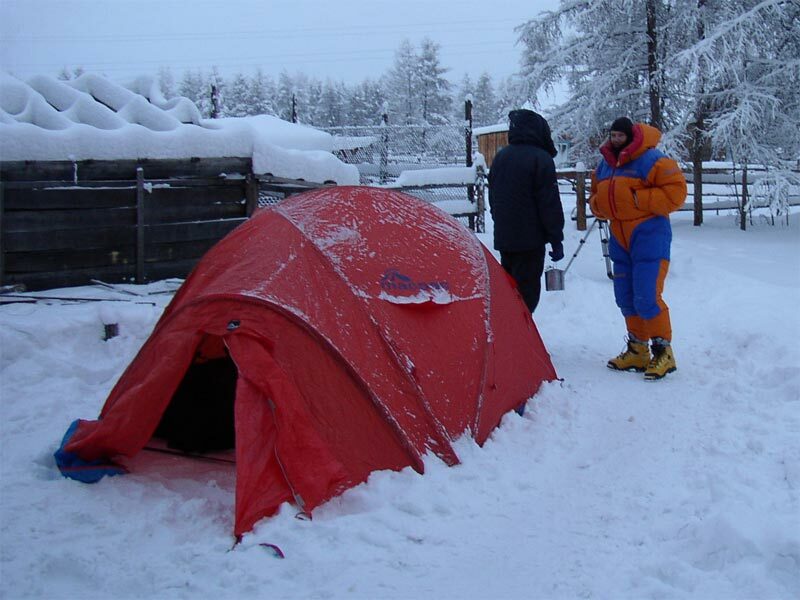 This experience completely satisfied me thanks to the kindness and helpfulness showed by some local people who supported me, especially because I had the possibility to experience further personal adventures at extreme weather and temperature conditions (-66 C). A heartful “thanks” to some of them who became friends for life and I will never ever forget. I have returned from an amazing adventure at the pole of cold. 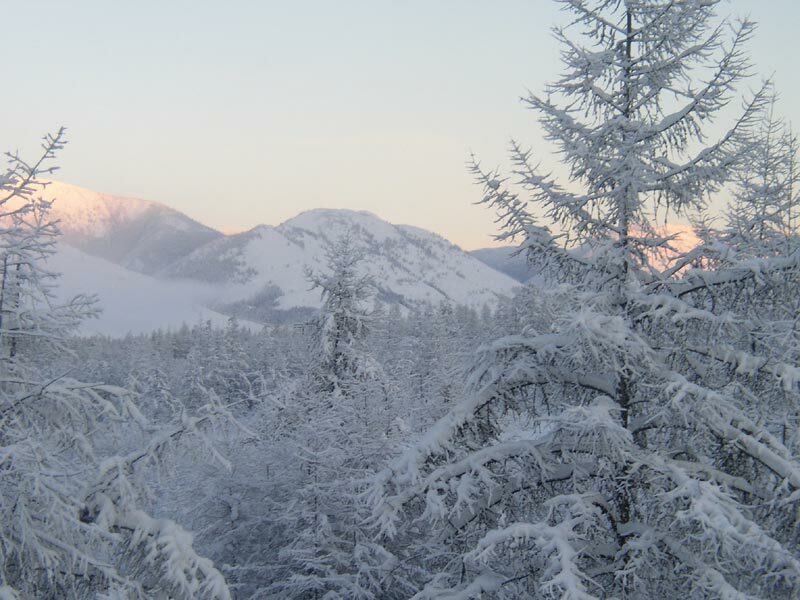 It reached -66 in Oymyakon on the morning of the 19th of January. 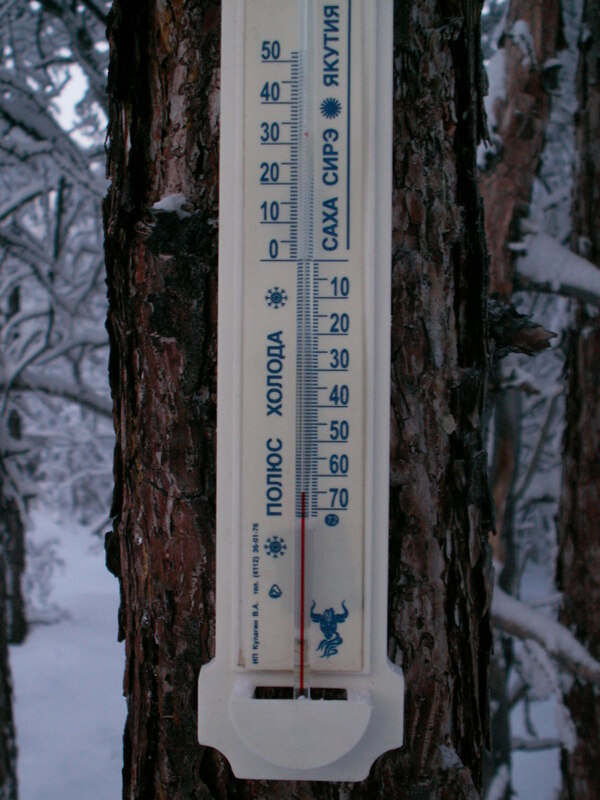 I consider myself to be extremely fortunate to experience those kind of temperatures, which is very close to the all-time record of -67.7С. My friends here at home cannot imagine what temperatures like that are like, and they are fascinated by my stories. 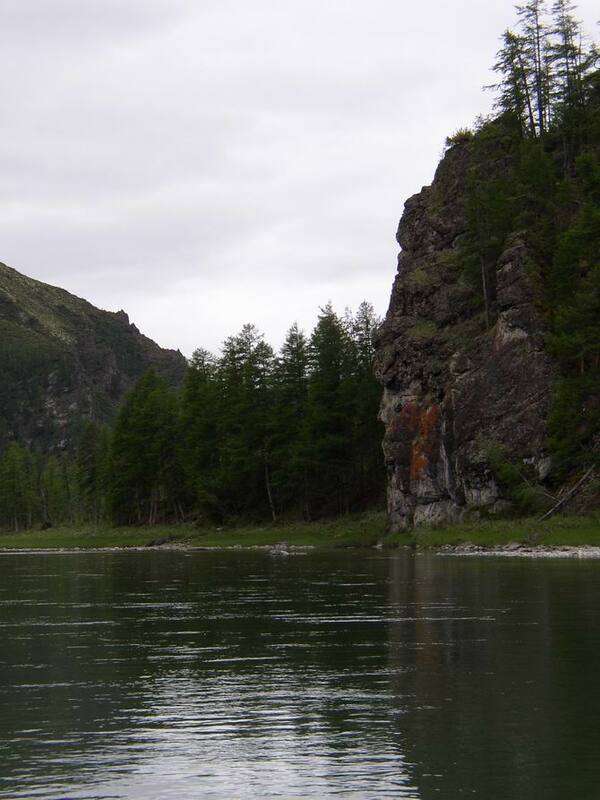 I want to thank Slava and Stas and all of the people at Yakutia Travel who made this a memorable event. Everything went off without a hitch. 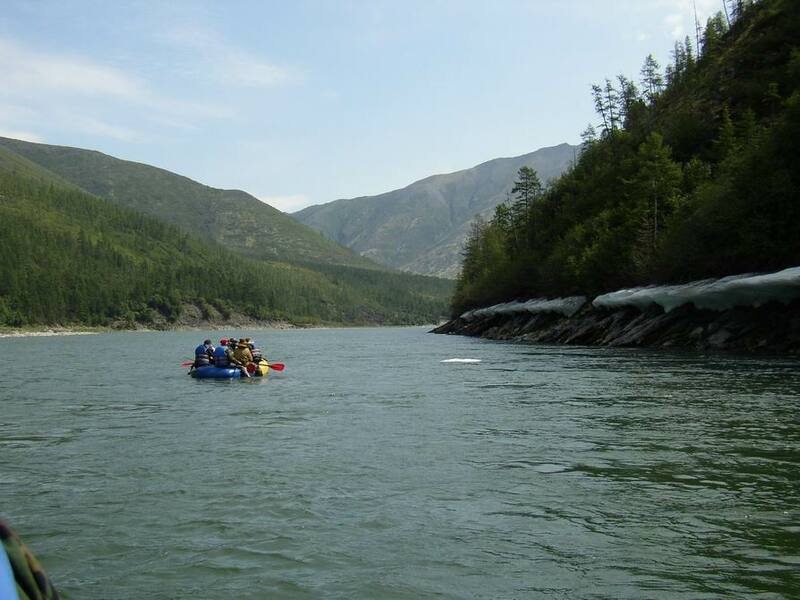 This summer in mid July our company tested rafting trip along the most beautiful rivulets of Yakutia – Rassokha. 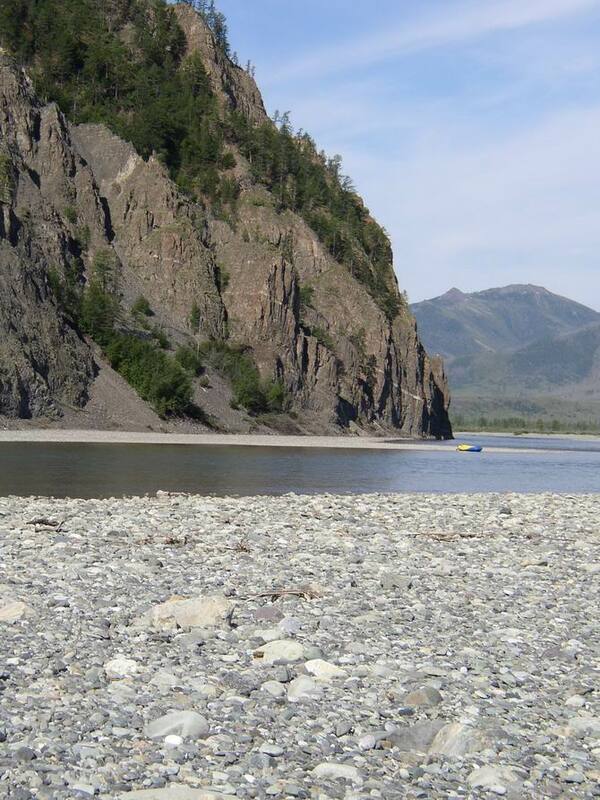 It is a tribute of Yasachnaya river, which is flowing into the Kolyma river in Verkhnekolymsk region of Republic of Sakha (Yakutia). The route goes through absolutely wild territories where barely a human being is a rare guest and wild animals are real land lords. 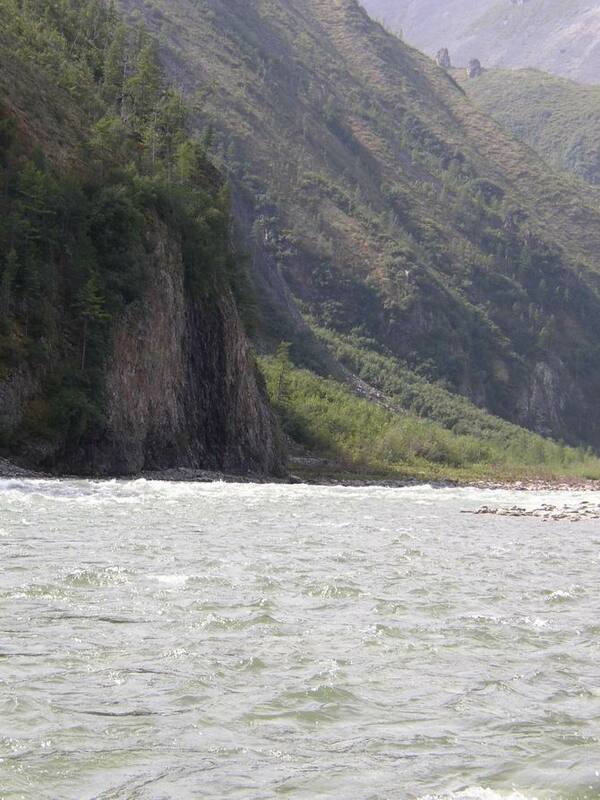 The trip starts from mouth of Kharaulakh river coming from Zyryanka by helicopter and ends in Mamot river mouth going through picturesque views of mountains and canyons. 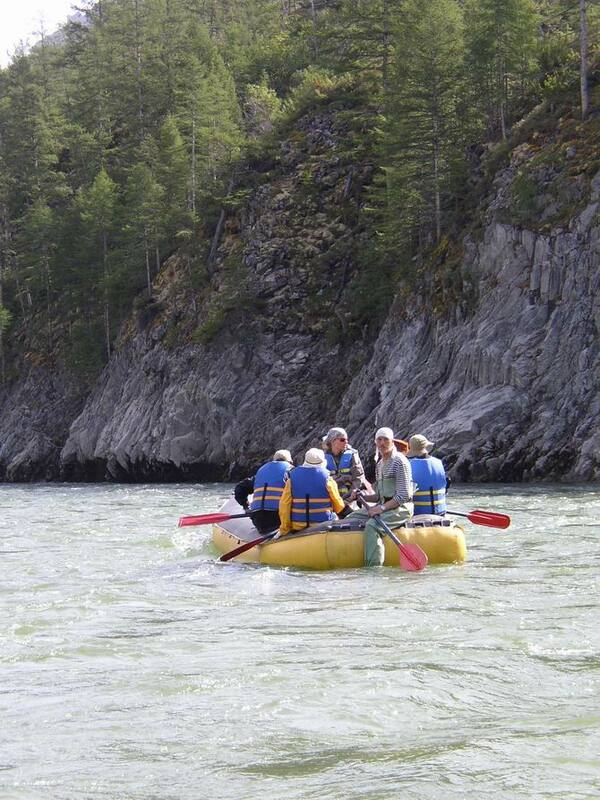 Rafting category is equal to III+ degree that allow to participate in for all ages without special basic training. Thank you really much for your hardest work for Saiyu group!!!! 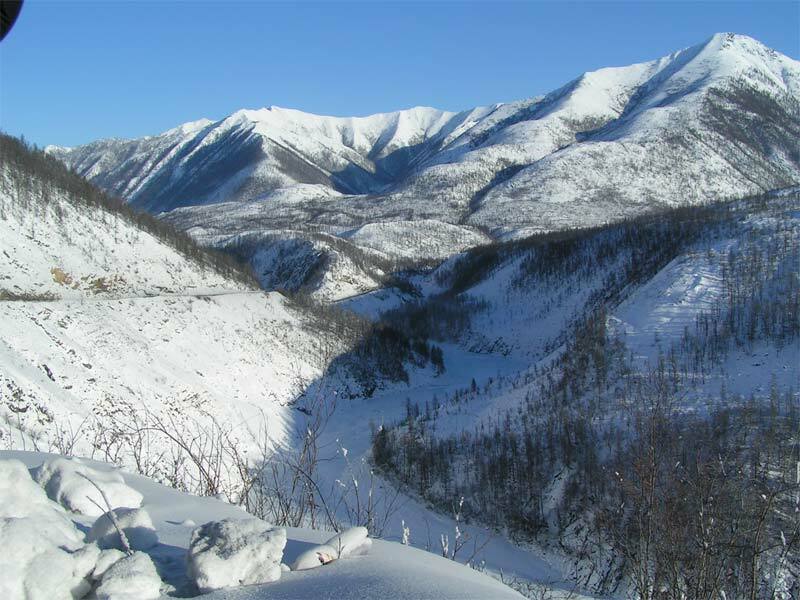 All of guests are very satisfied with your services and beautiful Yakutia land. Great thanks again for you and your staffs. II ” Mounties of Yakutia” art exhibition opening of the national painter of USSR, academician of Republic of Sakha (Yakutia) A.N.Osypov. III Agreement signing between Government of Republic of Sakha (Yakutia) and Federal service of hydrometeorology and environment monitoring. Place: City Palace of Culture. 11:00 Memorial Board opening, which is dedicated to the 120th registration of absolute minimum of air temperature in the Northern hemisphere of the Earth. 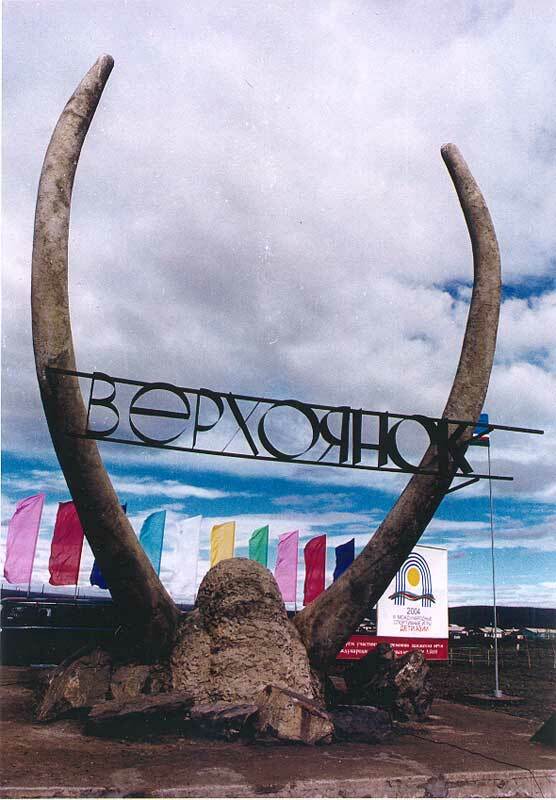 b) Yakut breed horses show from Oymiakon and Yansk. d) Ice sculptures complex opening. e) Amateur concert of Verhoyansky and Oymiakonsky collectives. 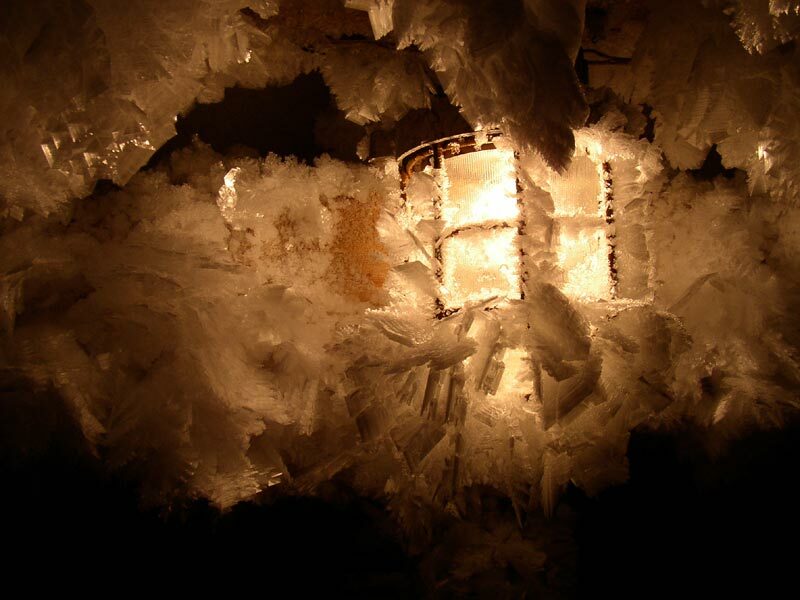 23:00 Musical evening with stars of “The Pole of Cold at the North of the Earth”. 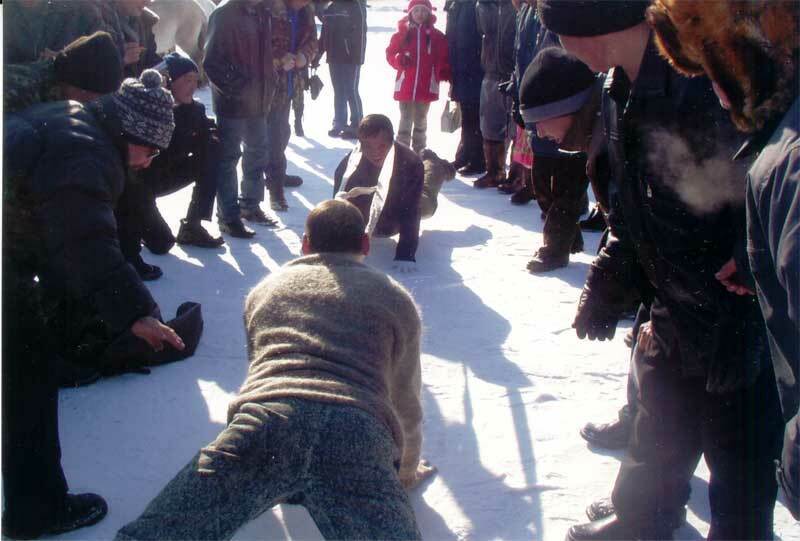 14:00 Folks games: bull-race, all around combined tournament competition. 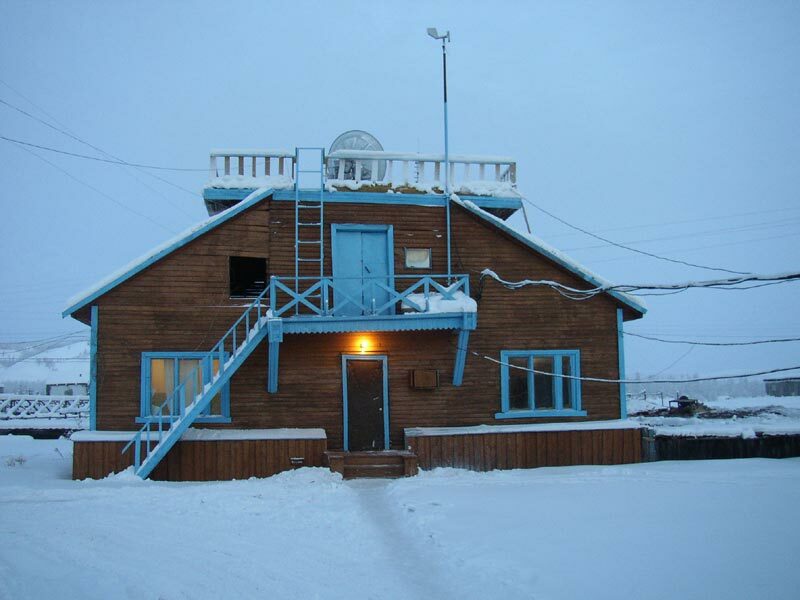 20:00 “The Pole of Cold at the North of the Earth” the Republic Forum closing. 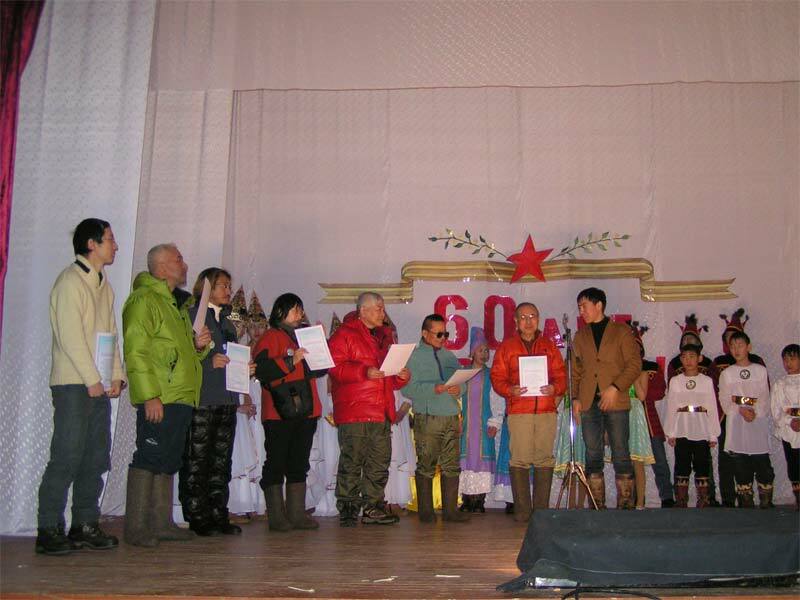 Concert with yakut stars ‘The Pole of Cold of Yakutia”. The participation of the well-known symbols of Christmas and Russian New Year Celebration – Santa Clause (Rovaniemi / Helsinki) and Ded Moroz (Veliky Ustug, Russia). 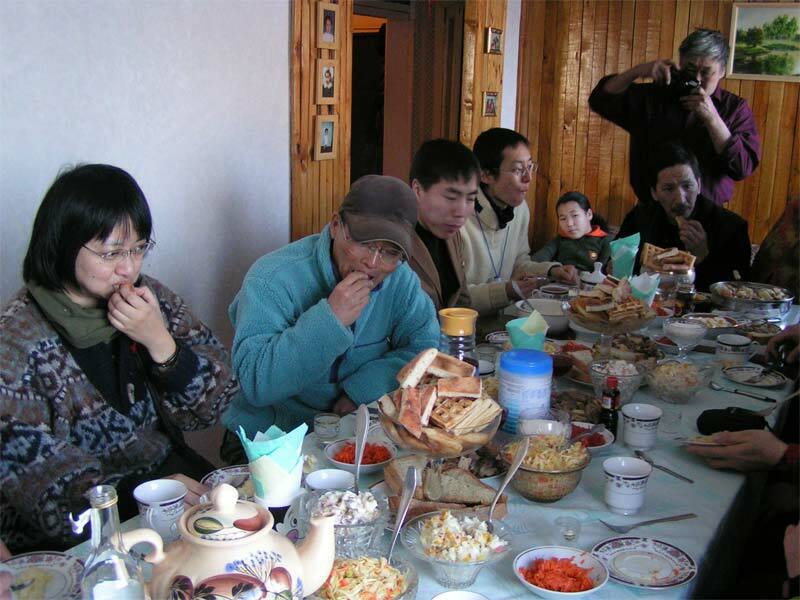 The exhibition of traditional cloth, food and art of the northern peoples. 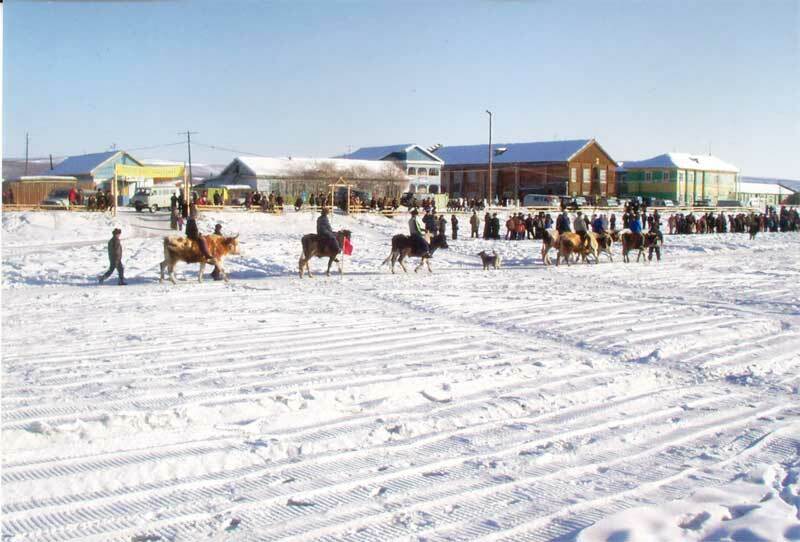 The Even Reindeer Breeders Competition (reindeer sledding, lasso throwing, jumping over sledges, and other sport activities). Centuries have past, but it happened only in 2003. 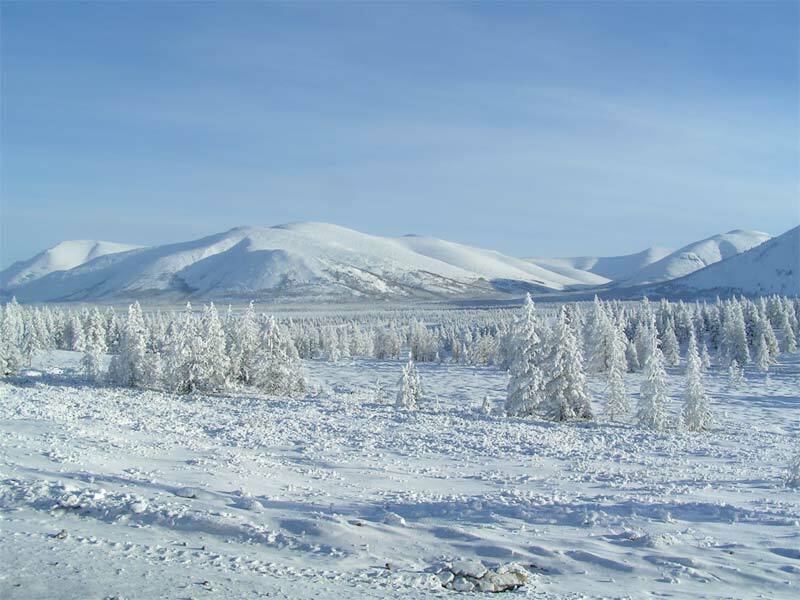 Winter heroes – Santa Clause, of Lapland, and his Russian colleague Ded Moroz, of Velikiy Ustug, – have eventually decided to visit the coldest spot in Siberia. 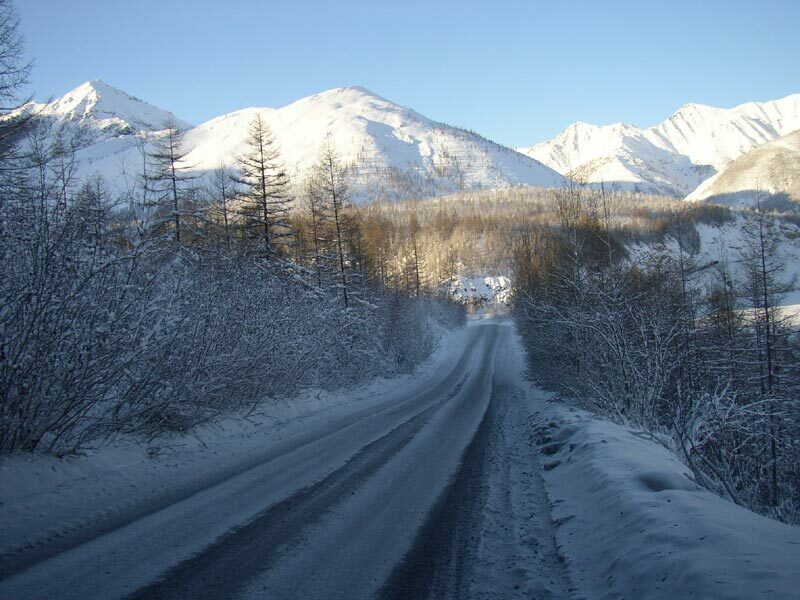 Only by now they realized that WINTER STARTS IN YAKUTIA (the motto of the festival). Khan on the Pole of Cold and get his blessing to spread winter across the world. 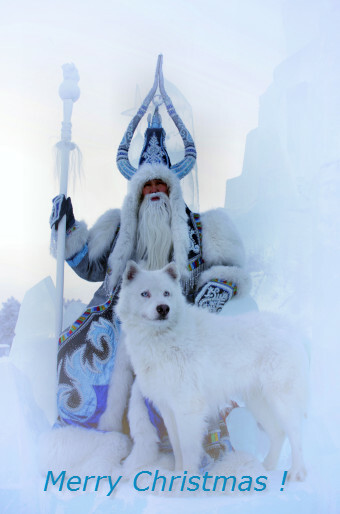 Santa Clause and Ded Moroz’s current mission is to promote travel opportunities in Yakutia including the Pole of Cold Destination, to attract investments for the development of local tourism industry. The Cold Pole became very popular this year. First travellers at 2004 were group of 5 meteorology amateurs from Germany . Reinhardt Wurzel, Friedhelm Kohler, Volker Rosenmayer, Reinhard Rasch, Richard Reisser were in Yakutia from January,13 till January, 31. 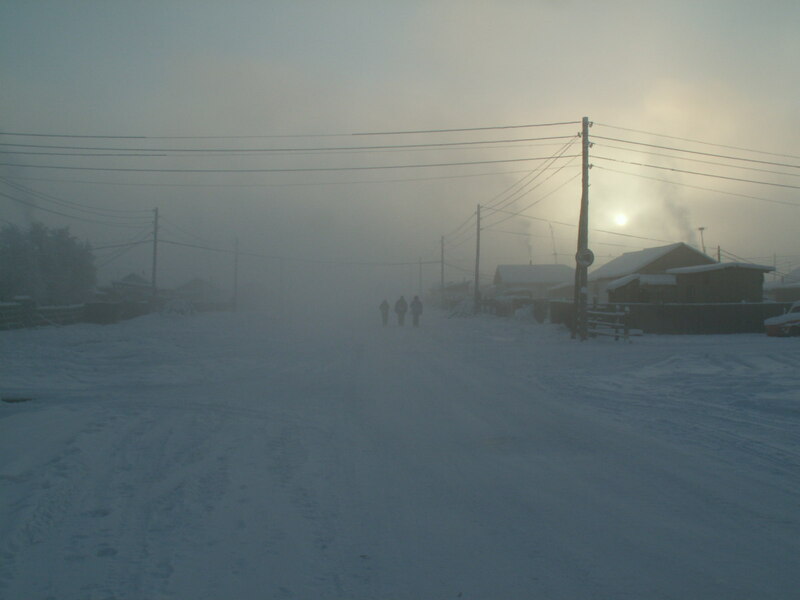 By the way two of them – Wurzel and Kohler – came to Oymyakon for the second time. 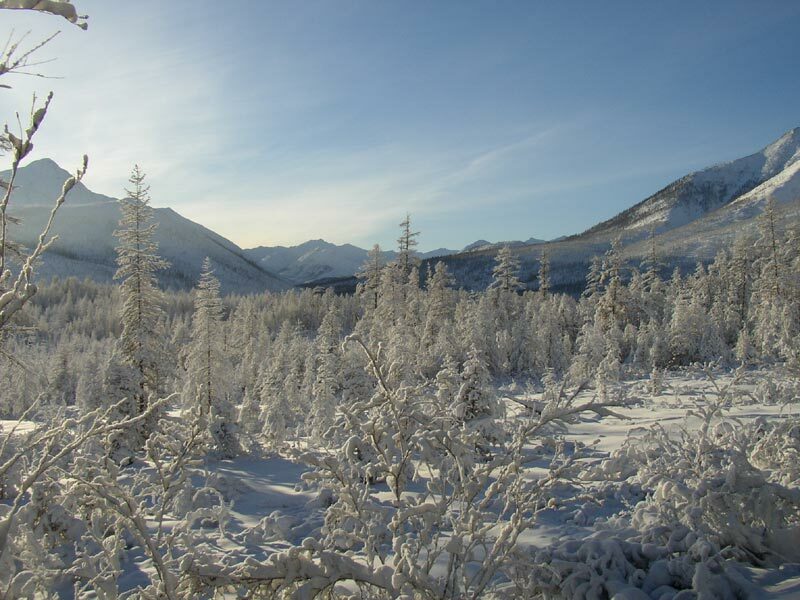 First time they had come at 1999 and registered temperature – 61,3”C. 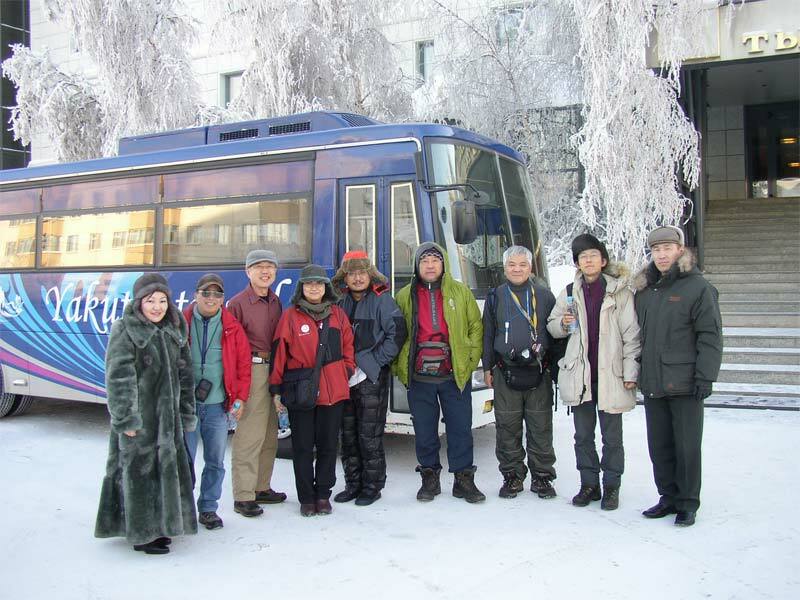 They liked the trip so much that they decided to gather another group and come back. But this time they were not so lucky. 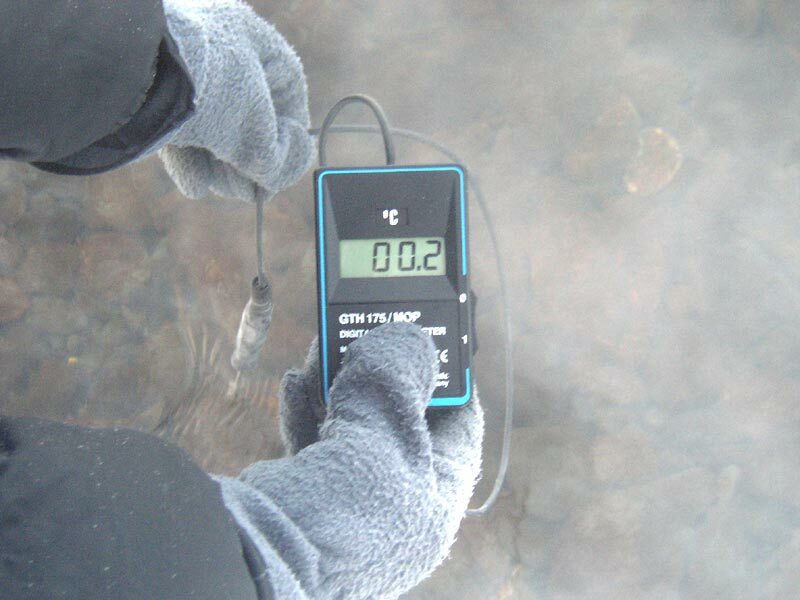 The lowest temperature they register at Jan, 19, 2004 was “only -58,9’C”. 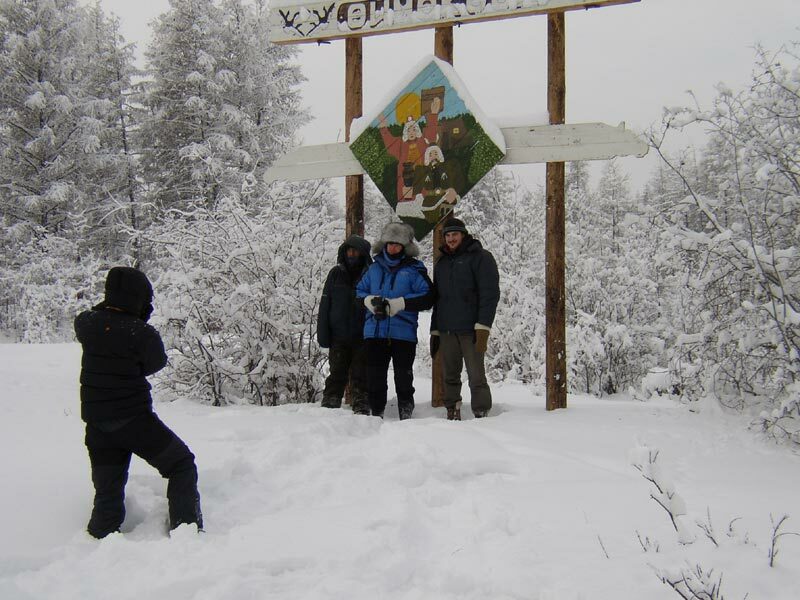 Meteo hobbyists decided to check another Pole of the Cold – Verkhoyansk. 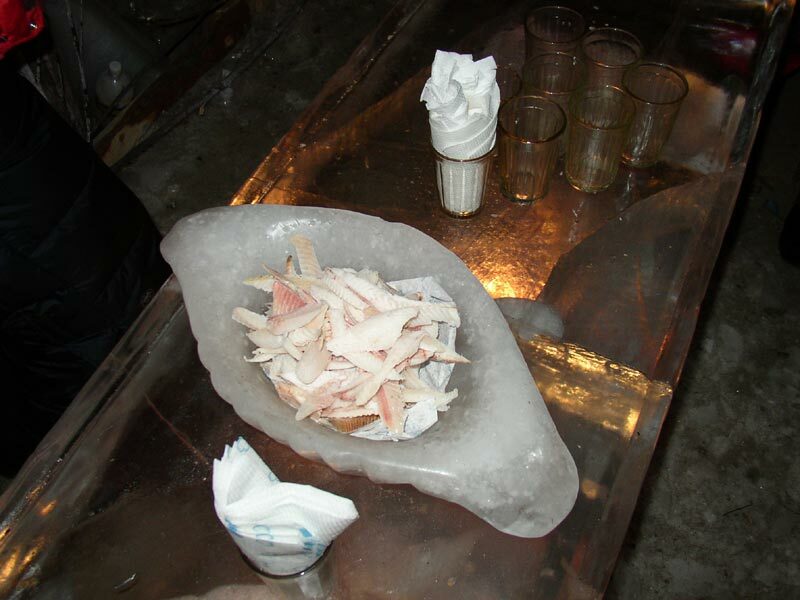 But they “catch” only -54’C there. It seems that very warm acceptance by local people influenced on athmosphere. That time there was film group of wellknown channel ‘Discovery’ consisting of 3 persons: Geoff Mackley, charming Rachael Wilson and Mark Whetu from New Zeland. 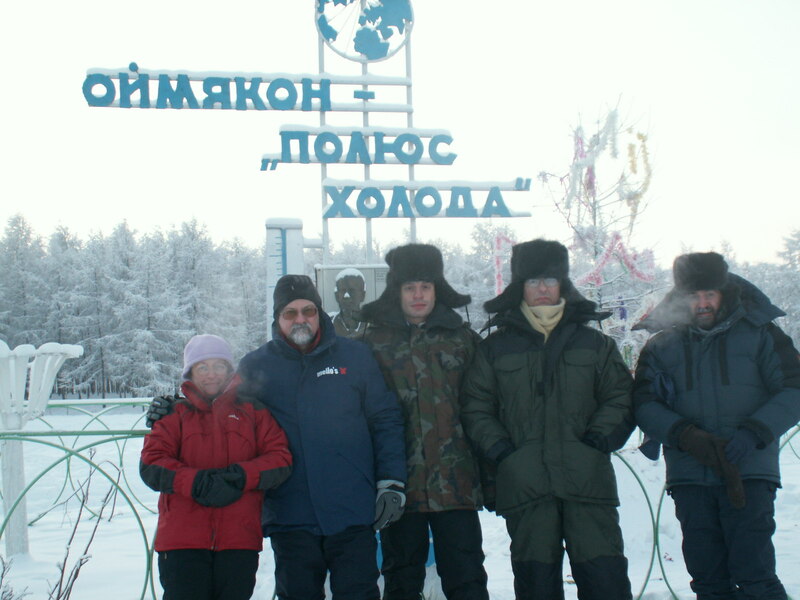 They were accompanied by translator Rob Walker (USA) and Vyacheslav Ipatiev (TourServiceCenter).group was ‘on test’ in Verkhoyansk, another group of ‘pioneers’ rushed to conquer Cold Pole at Oymyakon. 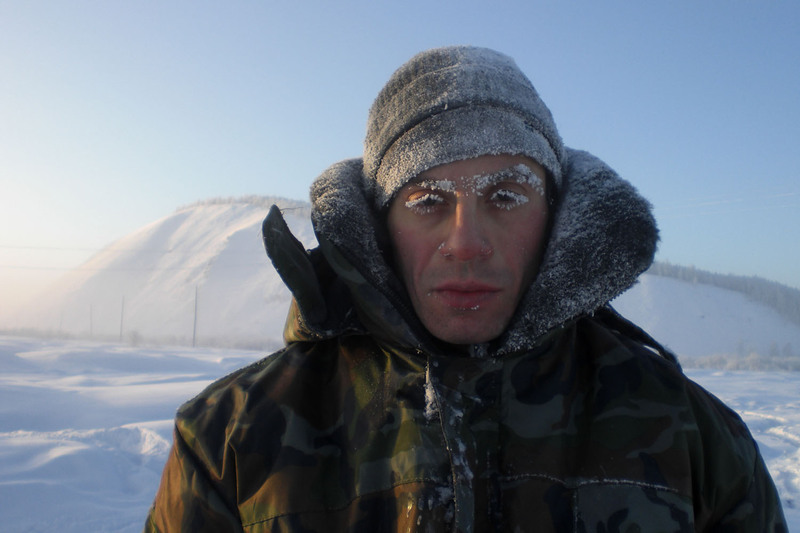 Discovery’s purpose was survey of Oymyakon conquer by Geoff Mackley for Dangerman series, that will soon come on Discovery channel. 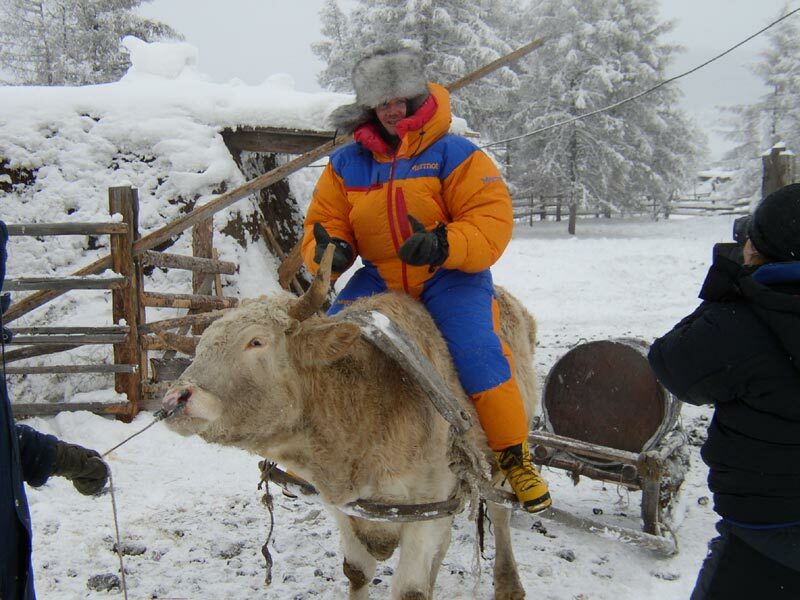 Yes, just Oymyakon examines the courage of such brave man. 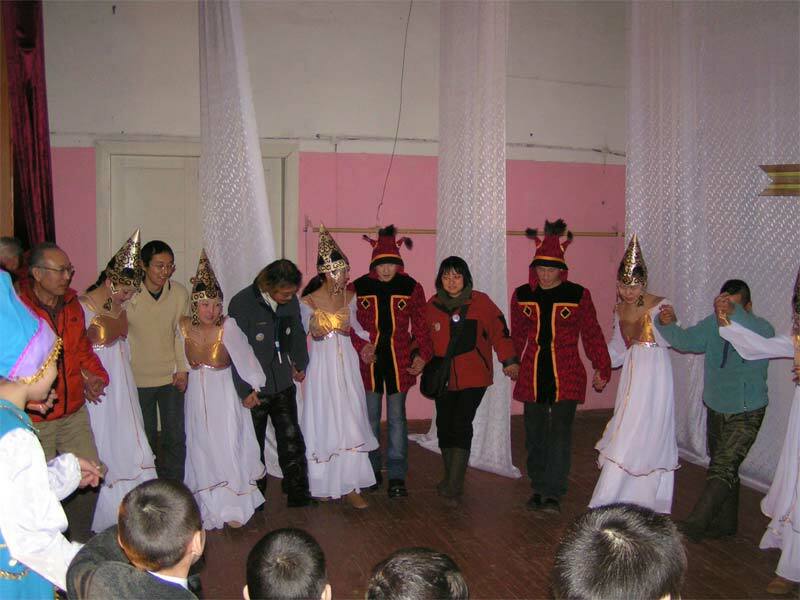 But it seems that record of visits will be broken at March 27-28, when annual Tourists Festival starts on Pole, and where traditionally Santa Claus and Chiskhaan (the Lord of the Cold) wellcome guests.